The Dada flagship store is the reference point for who is looking for the best design kitchens, technological innovations and trendy styles. Established in Milan long ago, it is now changing and expanding in its new Location at the corner between via Corso Europa and Via Cavallotti. Every Dada Kitchen is characterized by a refined style in a continuous research of the perfect balance between elegance and functionality. A style that gives its best with the Armani Dada division that follows the elegance always associated with the “stylist” in the use of volumes and materials. The kitchen is the place of the house dedicated to the family, the one to furnish to last for years, and Centro Dada, thanks to its design competence, is able to realize all your needs offering you an unparalleled excellence. Dada Kitchen Outlet: 50% discounts! Dada has totally transformed the way of living the kitchen. With a sober and sophisticated style Dada has reached from its very origin a prestigious position in the design sector. Every single detail is carefully designed, starting from opening mechanisms to the material finishing, for a daily comfort. Dada Kitchens form a rich catalogue where every collection is characterized by a unique design always up with the latest trends. 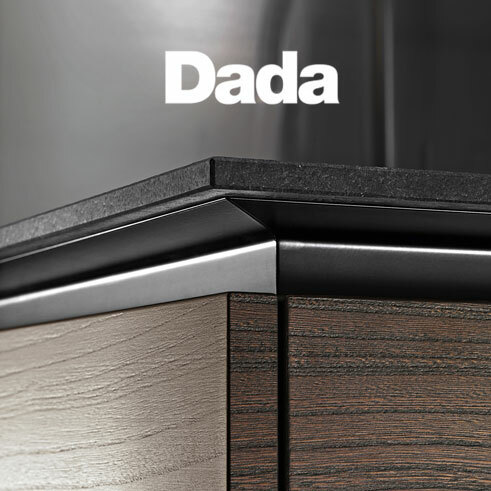 For years, Dada has been collaborating with renowned designers to create products with an excellent aesthetic sense combined with advanced technology that only the Dada Kitchens can give. 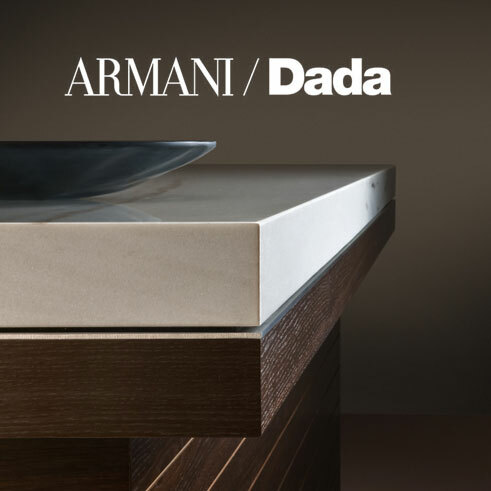 With Armani/Dada, the elegance of the stylist arrives into the kitchen. The functionality that has always characterized Dada embraces valuable materials and fine marbles to bring to the core room of the house refinement and sobriety; lines and volumes are minimized, hiding behind their elegance an unparalleled functionality. All the Armani/Dada collections represent the best of the modern luxury kitchen, a highly practical but also enjoyable cooking space where you can amuse and relax yourself in good company. The colours are the warm ones typical of the natural finishing, while the lines are clear-cut and minimal for a cosy atmosphere; everything in these kitchens reminds of Giorgio Armani’s distinctive style. Aesthetics alone is not enough; this is the reason why every kitchen is completed with accessories and electrical appliances capable of bringing the professionalism of the great chefs’ kitchens in the domestic environment. A wide range of brands with an unquestionable professionalism for a unique comfort. Miele, Sub Zero, Wolf, Fantini, just to name a few of them. The experience of our team is able to give you a quality service with the competences to satisfy all your needs. 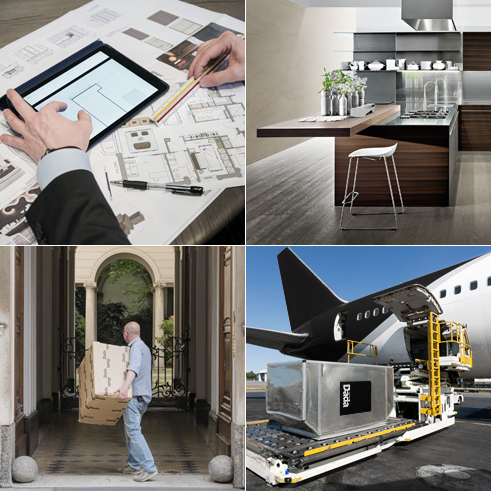 We will be at your side in all decisions with our professionalism, giving you the best internal design consulting. The kitchen is the heart of your home but it is not the only room; thanks to SAG80 Group, partner of Centro Dada, design is not just for kitchens, but continues in all the domestic places and beyond with projects signed by popular designers. 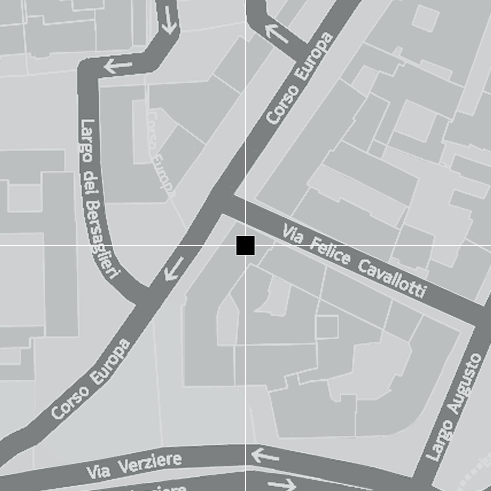 Come and visit us in our showroom at the corner between Corso Europa and Via Cavallotti in Milan, or fill in the following form anticipating your requests in order to be contacted soon. 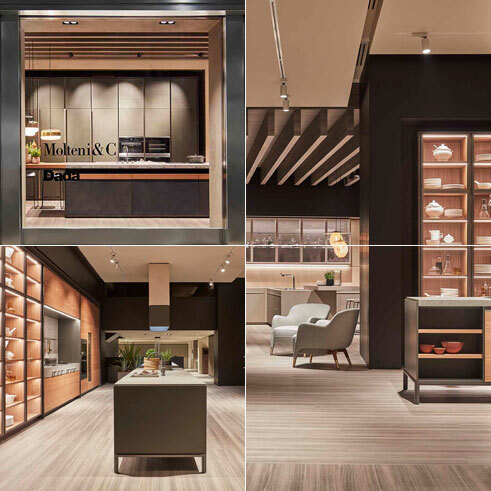 Talking about kitchens Centro Dada represents the pillar of Sag80 Group, leader for more than fifty years in the design and in the Italian and international furnishing sector.